They say that Greece is actually a life-size archaeological site and we couldn’t agree more. Underneath its layers of soil lies secrets and treasures of a distant past. With its rich history, Greece is home to ancient cities that reached the apogee during the Hellenistic periods and during the Byzantine or Roman eras, all waiting to deliver their wonders to the public. Here are some of the top ancient cities you should explore in Greece. Located in Peloponnese, near the village of Mykines and Argos, Mycenae was the kingdom of King Agamemnon, which we know today through the tales of Homer. 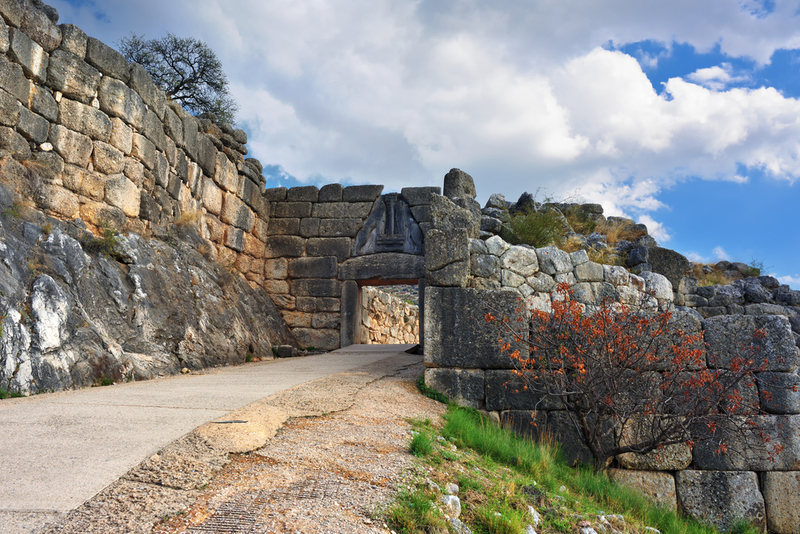 Once a major centre of Greek civilization, Mycenae was at its peak from 1600 BC to 1100 BC and counted a citadel as well as a lower town, altogether covering 30,000 square meters. A few important tombs have been discovered and excavated here, which include several treasures, such as the Mask of Agamemnon. Located on the slopes of Mount Taygetos, near Sparta, Mystras is a medieval-era town established in 1249 by Frankish leader, William II de Villeharduin. Reaching its peak during the Byzantine period, Mystras grew to be an important city, second to Constantinople. Besides offering splendid views over the plain of Sparta, Mystras is known for its beautiful Byzantine churches and stone houses. While you are here, take the opportunity to do some hiking since the region is crisscrossed with old footpaths leading to tiny villages, abandoned chapels and verdant hilltops. 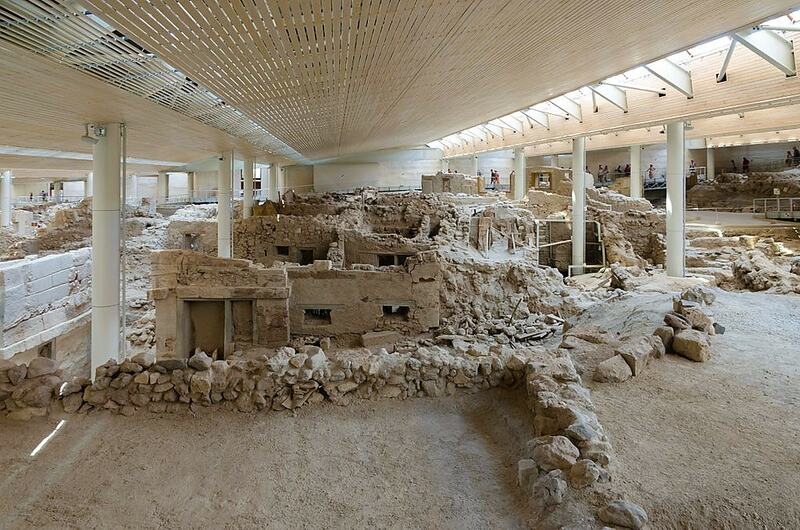 A Bronze Age site on the popular island of Santorini, Akrotiri is the Greek equivalent to Pompeii. Destroyed by a volcanic eruption in 1627 BC, the site was first excavated in 1967. Remarkably well-preserved, Akrotiri is associated with the Minoan civilization and on the site, visitors can admire beautiful frescoes, pottery, furniture as well as buildings. An important centre due to its strategic location between Minoan Crete and Cyprus, Akrotiri was a prosperous settlement before it suddenly disappeared. Many believe that it was the inspiration for Plato’s story of Atlantis. 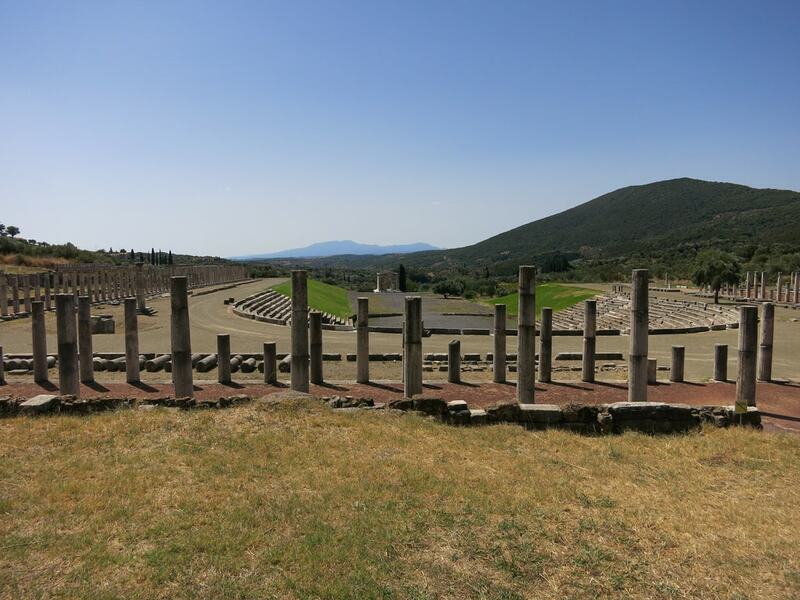 Located in the southwestern region of Messenia, near Kalamata in the Peloponnese, Ancient Messene was a one of a kind ancient city. Indeed, never destroyed or covered by newer settlements, the site of the ancient city still includes old public buildings as well as sanctuaries open to the public. Once under the dominion of the city-state of Sparta, the Messenians reconstructed the city after the Battle of Leuctra in Boeotia in 371 BC. The city was circled by a fortified wall, which you can still see today, as well as the theatre, the stadium, the bouleuterion (the chamber of council) and the ruins of a temple. One of the most important city-states of ancient Greece, Ancient Corinth is located in the isthmus that connects mainland Greece with the Peloponnese. It consists of three parts, Acrocorinth, the elevated fortress on the hill, the city on the plateau and its port, called Lechaion. The whole complex was enclosed by a wall. The city, though established since Neolithic time, went through a peak period from the 8th century BC until its destruction by the Romans in 146 BC, who rebuilt the city in 44 BC as a Roman colony. Today, the site is dominated by the Doric Temple of Apollo as well as the Agora, Roman baths, the Asklepieion (temple and healing centre dedicated to god Asklepius), an odeon, a gymnasium and stoas, which are all still visible. When visiting the site, make sure to climb up (by car or taxi) to the fortress of Acrocorinth, it is definitely worth the visit. Situated in a narrow valley at the foot of Mount Tomaros, a few kilometres away from Ioannina, in Epirus, stands the site of Dodoni. This ancient city was a major site of religious importance for Ancient Greece. It was mostly known for its oracle, which was the oldest in the country. The site comprises an Acropolis, which served as a residence for the authorities and refuge for locals in times of war and troubles as well as a sanctuary, where visitors can admire a sacred oak dedicated to the worship of Zeus. The site includes a few noteworthy monuments such as a theatre, a bouleuterion, a stadium, an Acropolis and the Sacred House, also known as the Temple of Zeus. Most likely the largest ancient city by size but undoubtedly the least known, Nicopolis (or Nikopolis) is an ancient city located in Epirus, less than 10 kilometres away from the little town of Preveza. Built by Roman emperor, Caesar Augustus (also known as Octavian) in 29 BC, it was the capital of the Roman region of Epirus Vetus. 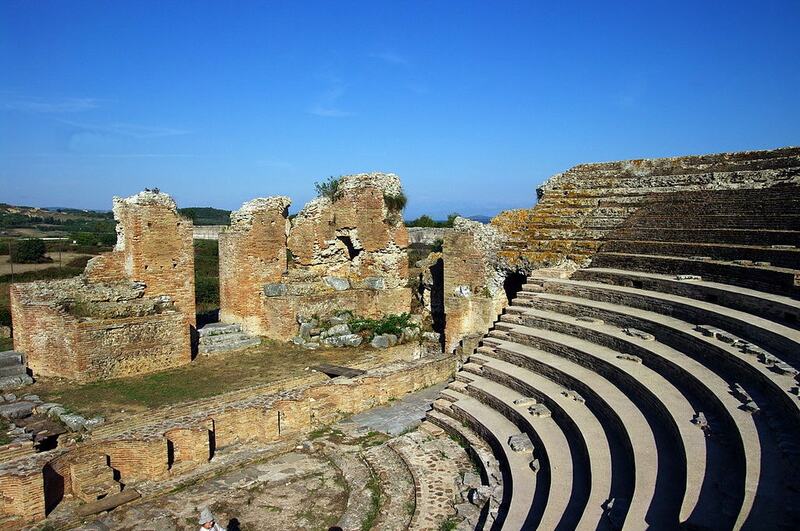 Nicopolis is also known as Palea Preveza (Ancient Preveza) and features prominent monuments, such as an Acropolis, an odeon, a theatre, an aqueduct, baths, a stadium and a Roman villa with spectacular mosaics. 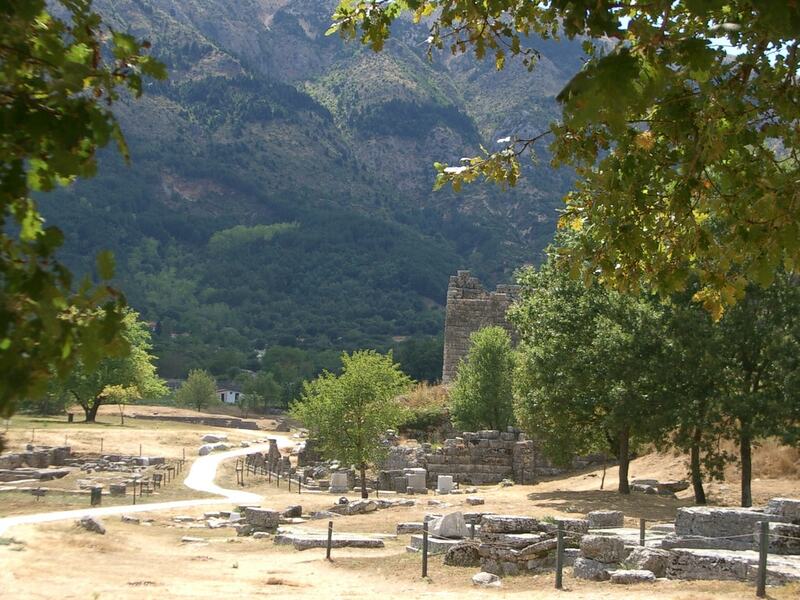 Located in northern Greece, the ancient city of Aigai was actually the ancient royal capital of the kingdom of Macedon. 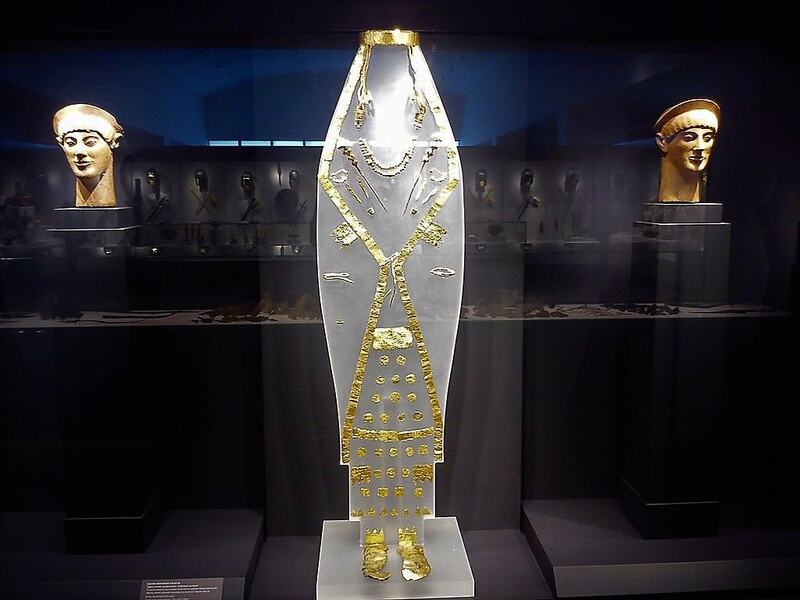 Located near the village of Vergina, Aigai includes an extensive urban centre as well as an impressive palace, decorated with mosaics and painted stuccoes and a massive burial ground with more than 300 tumuli. The tomb of Philip II was discovered on this site, as well as other royalties, such as his daughter, Thessalonike. 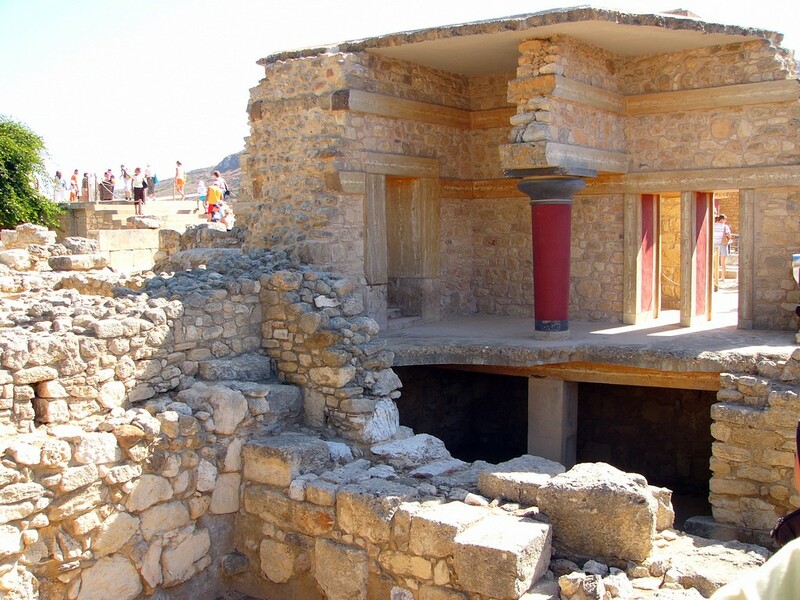 Located in Crete, the site of Knossos is mostly known for the ruins of its remarkable palace. But Knossos was actually the capital of Minoan Crete and was an important centre of trade on the island. Continuously inhabited from the Neolithic period until the 5th century AD, Knossos counted many other buildings beside the palace, such as the South House, the small palace, the Royal Villa, the Caravanserai and the Temple Tomb. Make sure to complete your exploration with a visit to the Archaeological Museum of Heraklion, which houses many of the site’s fantastic finds.